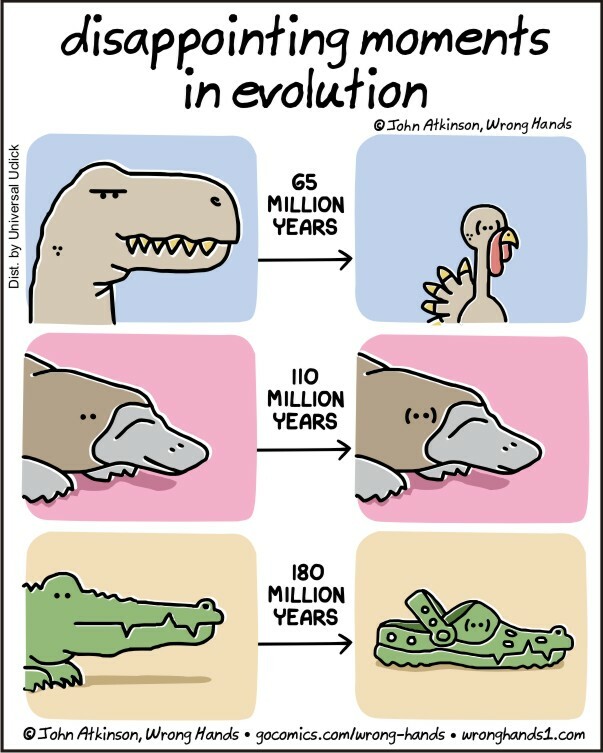 If only the last one was a crocs joke! It kind of is…but I guess doesn’t really look like crocs. Okay…I think I fixed it. I think the crocs reference come through much better now. Clearly I don’t own a pair or I would have drawn it more accurately the first time. Thanks for your input! Platypus attained perfection early. The rest of the species are still working at it. Hahaha, another good one, John! Though…. you could’ve added a Neanderthal Man and, some 100,000 years later, an old american psychotic, funny haircut, threatining world peace. Extremely disappointing moment in evolution.